New Telegraph - Fresh facts have emerged as to the underlying reasons the Minister of State for Petroleum Resources, Dr. Ibe Kachikwu, was removed as the Group Managing Director of the Nigeria National Petroleum Corporation(NNPC), after serving in that capacity for a period of 11 months. Before his appointment as GMD of NNPC last August, he was the Executive Vice Chairman and General Counsel for Exxon Mobil (Africa). 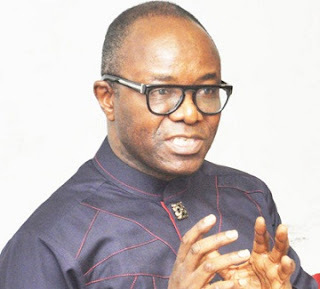 Armed with private sector experience, Kachikwu, on assumption of office, introduced some swift reforms geared towards the restructuring of the NNPC, the resuscitation of the refineries, and deregulation of the downstream sector of the petroleum industry. He also sought to introduce transparency and accountability in the huge oil corporation in such a way that each subsidiary would be required to render profit and loss accounts at the end of each fiscal year. There have been speculations that Kachikwu came under attacks from various quarters and interest groups who felt threatened by these reforms. Sunday Telegraph learnt that Kachikwu had to give way because, apart from the abnormality in one person holding the two strategic positions, he was too fast and reform-minded for the NNPC and ruffled not a few feathers while he held sway as the NNPC boss. An oil industry source told Sunday Telegraph that the first factor that led to his exit was that it was not legal for one person to be the Minister of Petroleum Resources and Group Managing Director of NNPC, at the same time. “It was an anomaly and supposed to be a temporary arrangement. It was not supposed have lasted that long. In addition, he brought private sector initiatives into a largely conservative and bureaucratic system. Normally, reforms will be resisted by those used to the old system. But one of the things he didn’t do well was not carrying the people along. “There was a lot of disenchantment in the system because of the sweeping reforms Kachikwu tried to introduce. The ‘indigenous NNPC staff’ said they were not carried along. He brought in a lot of strange people, a lot of new ideas and these were coming a bit too fast. Civil servants are usually conservative people, so when they do not understand what you are doing or where you are going, they will ask all sorts of questions. What is this man doing? You want to destroy the system? You want to destroy our NNPC? How can he make this man a General Manager when he just finished school 10 years ago? All those things are bound to be there. “He ought to have been a bit gradual in introducing those reforms, but he was working on timelines that were too fast for the system. He was in a hurry because he knew that he was not supposed to occupy those two positions for a long time,” our source said. Although Kachikwu remains the boss of the oil industry, there are indications that his current position as Minister of State may not give him the full powers to drive the series of reforms he introduced into the system. His successor, the newly appointed Group Managing Director of the Nigeria National Petroleum Corporation, Dr. Maikanti Kacalla Baru, has assumed office and pledged to carry on with the reforms of his predecessor. Baru has, however, unfolded a 12-point agenda for the corporation but said he will run an all inclusive system for better results. 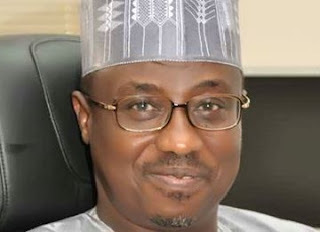 According to Baru, his administration will set up an all-inclusive internal advisory council on security comprising representatives from NNPC, the international oil corporations(IOCs), the Unions and Security Operatives to brainstorm and address host community agitations to complement efforts of the Government Security Team. The new helmsman also pledged to implement the new business models and grant the needed autonomy to the strategic business units; provide relevant directions and control that will ensure their growth and profitability, continue to explore ways of relieving government from the burden of cash calls obligation, defray the agreed cash call arrears of the IOCs, restore oil and gas production and grow the reserve portfolio. Meanwhile, some lawyers, yesterday, kicked against the various appointments made so far by President Muhammadu Buhari into boards and parastatals, stating that such is against the provisions of federal character. The President had, last week, appointed members into the board of NNPC, with his Chief of Staff, Abba Kyari, making the list. Speaking with Sunday Telegraph, an Abuja based lawyer, Wahab Olatoye, noted that the appointments of Buhari since he was sworn in, has been lopsided, as only his allies from the North are always being considered for appointments. “Like people have been saying all along, appointment under Buhari’s administration has been tailored towards CPC members who are in APC and the CPC members are the ones from the North alone and it does not cut across nationwide. “The lopsidedness is against the Federal Character law and it is not cognizance of that. The Chief of staff is not a constitutional appointment, he is private secretary to the president, and he has so many things to do for the President as the private secretary. Making him a board member of NNPC shows that the President has not really open doors for outsiders to come closer to him to move the nation forward. “The government is a year old, the people he has appointed so far have really not been able to turn things around. Although the appointment of the Chief of Staff to the board has no constitutional inhibition,” he added. Another lawyer and law lecturer, Dr. Abass Ambali, noted that there is set rules and regulations guiding the appointment of individuals into offices as far the country is concerned. “If one should look at the appointments in recent time, one can really say that the set rules have not been followed, but, however, one cannot completely blame the President because his prerogative cannot be denied. “For the appointment of his Chief of Staff to the board, there is no constitutional provision that stopped him from doing so. The appointment of the Chief of Staff is on personal recommendation and not based on any rule,” he added. Another lawyer, Dr. Thompson Emanoibe, said the recent appointment into the NNPC board is a violation of the NNPC Act 2014. Dr Maikanti Kacalla Baru attended Ahmadu Bello University, Zaria, in Kaduna State of Nigeria; where he obtained Bachelor of Engineering (Mechanical) with a first class honors. He also holds a Doctor of Philosophy in Mechanical engineering. The presidency has appointed Dr Maikanti Kacalla Baru as Group Managing Director of Nigeria National Petroleum Corporation (NNPC). Until his appointment, Dr. Maikanti Baru was the Group Executive Director, Exploration & Production of the corporation. Before his Recent appointment Dr Maikanti Kacalla Baru; had worked in various capacities in both the Upstream and Downstream Sectors of NNPC. These includes Group General Manager of Greenfield Refinery Projects, Managing Director of Hyson, Executive Director of Nigerian Gas Company(NGC), General Manager – Gas Division of NAPIMS, Manager – Operations, Procurement Management Services and Manager – Engineering for National Engineering and Technical Company Limited(NETCO). During his initial stint with NAPIMS which spanned from July 1993 to July 1999, Dr. Baru executed several Gas projects which are utilizing billions of standard cubic feet of gas per day. Dr Maikanti Kacalla Baru has been the Chairman of NNPC Anti – Corruption Committee since September 2004 till date; and has relentlessly sensitized staff on obligations and laws that govern corruption and corrupt practices. Dr. Baru is a fellow of the Nigerian Society of Engineers (FNSE) and a recipient of the Presidential Merit Award of the Nigerian Society of Chemical Engineers. He is married with children.